These pristine white orchids truly stop the show and are sure to be the center of attention in any situation! The pale pink container gives just the pop of color necessary to make the white blooms stand out to their full potential. Care of this delicate plant is easy! Just place in a bright room out of direct sunlight and away from drafts. Temperatures should remain above 65 degrees Fahrenheit. 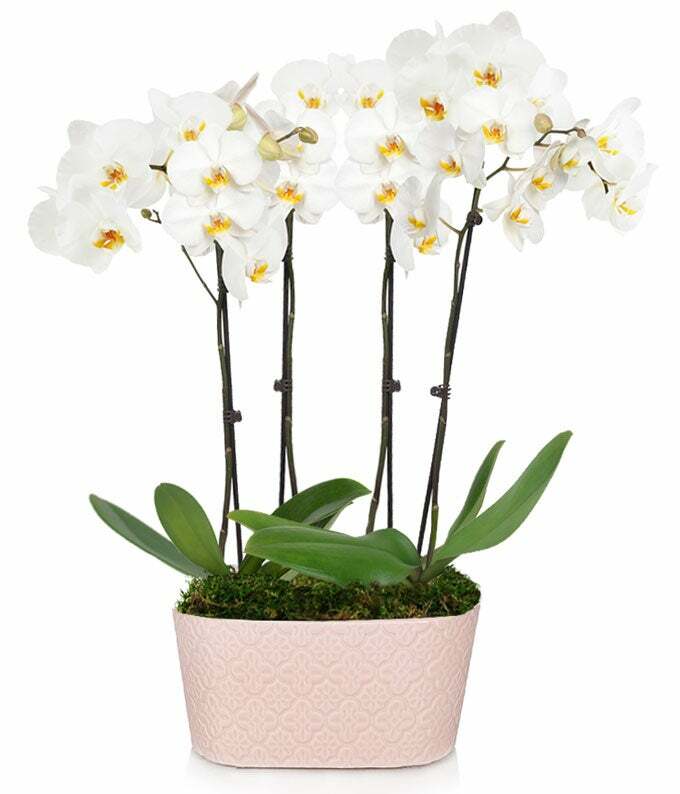 To water, simply place three ice cubes per orchid in the pot once a week!